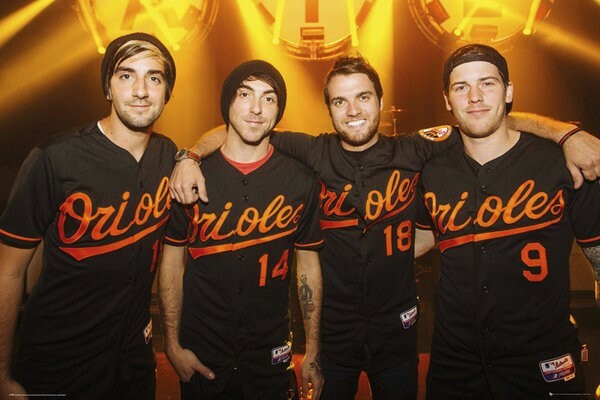 Music posters - All Time Low posters: All Time Low poster featuring the Baltimore rockers all wearing their hometown Baltimore Orioles baseball tops. Alex, Zack, Rian and Jack are all featured in this poster. 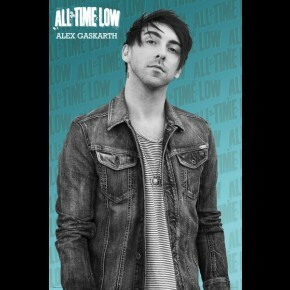 Official All Time Low poster.